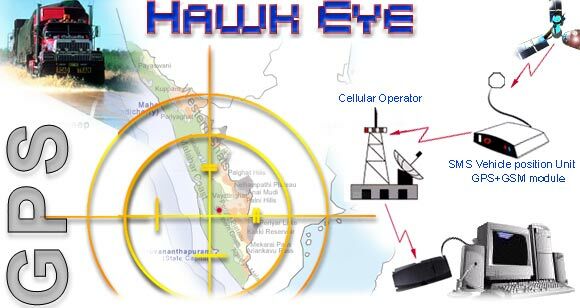 The HawkEye solution is based on (GPS) Global positioning system , GSM and Internet technologies. The GPS receiver captures position data from the satellites, computes the position of the vehicle and sends this information to a central base station, using SMS. This information is collected by the built-in web-server at the base station. If the optional storage module is installed, then location data can be stored when the vehicle is out of range of the cellular operator and retrieved later.